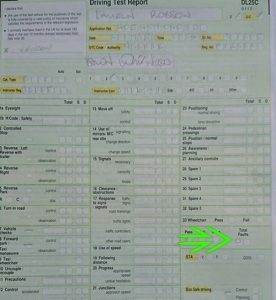 If you are looking for driving schools South Shields, we are here to help you get that all-important test pass like our previous pupils with their reviews below. Contact us and visit our prices page for some great deals to get you off to a flying start to gaining your driving freedom. We are one of the best driving schools in South Shields, be part of our success. Highly recommend Paul and mini me. Great teacher, very honest and patient. Cheers paul. What can I say without sounding OTT, this instructor is simply fantastic, this was my second instructor, my first was very good but something was just not clicking for me and my confidence was very low when I met Paul. For me it wasn’t just about passing my test, Paul made me drive safely and constantly challenges your thought process so you get it right every time. The Fiat is a dream to drive and if Paul isn’t available immediately I urge you to wait for him..I can’t thank him enough! Amazing driving instructor, easy to talk too and really helpful. I passed first time with no minors. Couldn’t thank Paul enough for helping me get through my test. Absolutely fantastic support and guidance, really couldn’t have done it without Paul’s help, highly recommend to anyone looking to pass with flying colours, thanks so much, Paul! Passed first time with no minors all thanks to Paul, couldn’t recommend him enough and certainly couldn’t have done it without him. Highly recommend mini-me driving school. Paul was patient from day one and always made me feel at ease! Can’t recommend or thank him enough! I passed with paul mini-me driving school today. I would definitely recommend Paul he makes you feel so at ease. And listens to you with any problems you have about driving. Gives good advice. Thank you very much for everything. I would like to say thank you to Paul for helping me pass my practical test first try! So glad that it’s over with, couldn’t have done it without the support. Paul is an amazing instructor. After a bad experience with driving before he made me feel comfortable and confident. He always has great positivity and very supportive. Thank you. Thank you for all your patience over the last year. Paul is a great instructor who helped me pass first time with zero faults! Thanks again, Paul. Passed my driving test first time today. What an amazing instructor Paul is! It’s been such a fab experience learning to drive and I 100% recommend him to anyone else wanting to pass. Fantastic guy, patient and supportive, couldn’t have passed my test without him! 100% recommend to anyone. I was absolutely delighted with my driving experience Paul always was there making sure I was 100% on my lesson this pushed me a lot to want to do better He was always on time never let me down never dropped a lesson I had trouble with different instructors with them cancelling last minute but never with Paul, I would highly recommend Paul got me through my test which I passed first time and with no minors. I couldn’t recommend Paul Ryan enough as a driving instructor, the most patient person who makes every lesson personal and enjoyable. Absolutely BUZZING thankyou very much. I Would 100% recommend for anyone wanting to start their driving lessons? I passed first-time thanks to Pauls teaching. 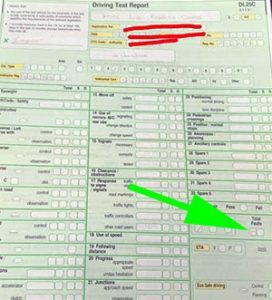 I decided to apply for a UK licence having previously driven on my foreign driving licence, so I needed a few driving lessons to smooth out my bad habits before applying for my test. Mini-me was local, reasonably priced and able to give me good initial advice from the first contact. Paul is the owner and the driving instructor, he has chosen to operate independently and therefore he is very customer driven. I really could not recommend Paul any higher, he is superb and was able to help me to pass first time this morning, after only a few lessons. Paul combines the perfect personal characteristics that I respect by being both professional and knowledgeable, he is also patient, good fun and light-hearted. 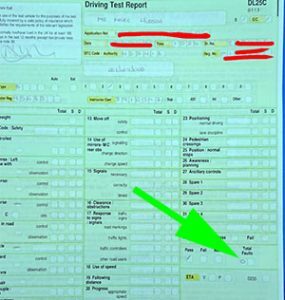 Paul was also able to advise me on some apps that automatically check for cancellations, I chose to pay to subscribe to “driving test cancellations” and this enabled me to change my test date to an earlier and more convenient date. In short, Paul is highly recommended. I would 100% recommend mini-me driving school. A Very professional instructor who makes you feel at ease. I was a very nervous learner and Paul got me through my test, I passed first time. The car is a Fiat 500, so easy to drive and easy to manoeuvre. Overall a fabulous learning experience. When I first started driving I was not very confident therefore it took me a while to build up that confidence, I would not have been able to do this without Paul and the patience he had for me. I passed my test first time with Paul, I would definitely recommend! Absolutely over the moon with passing my test today.Thank you so much, Paul for your patience and all your hard work I would highly recommend this driving school to anyone who is either first learners or from another teacher amazing thank you. 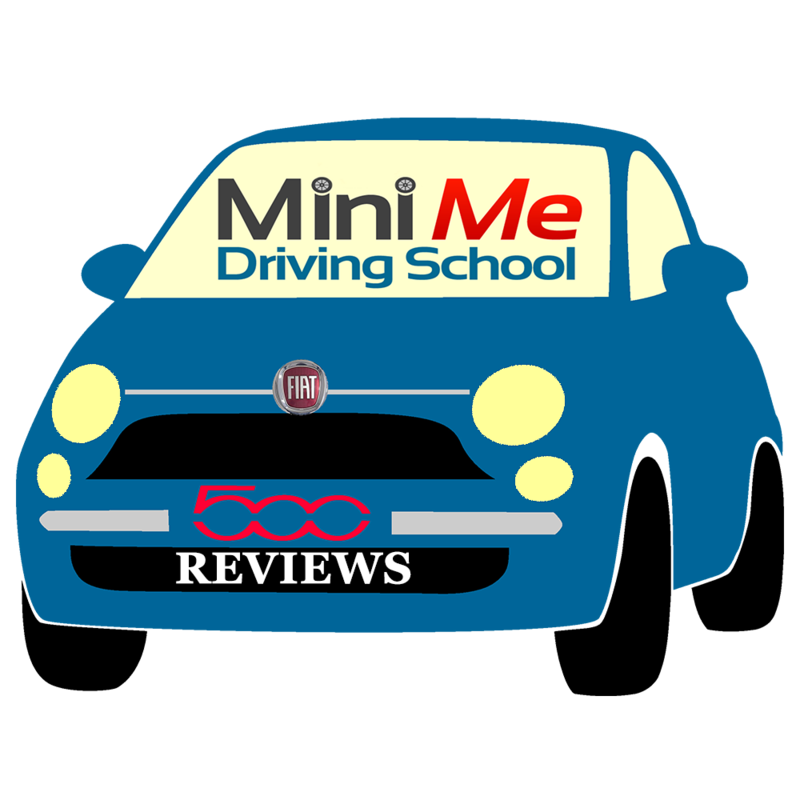 I would highly recommend mini me to anyone that is starting to learn how to drive or wanting to switch driving instructor 10/10….. thanks again for the first time pass. I would definitely recommend mini me to anyone time and time again! Paul is a fantastic instructor and gave me so much confidence through out my lessons that it immediately made me feel calm and at ease. You certainly won’t be disappointed if you book in with him. Brilliant instructor all round. I passed first time with Paul he is some boy. Absolutely fantastic service from start to finish. Paul makes things really easy to learn. I can take nothing but positives from my learning experience with this driving school. Mini me allowed me to become a confident and comfortable driver due to the outstanding teaching methods used by Paul. He was patient, extremely professional and all lessons felt completely relaxed. I would recommend this school to anybody within the South Shields area and I can’t thank Paul enough for all he has done. After a rather bruising encounter a few years ago with one of the larger driving schools in the area ( some very unprofessional behaviour and proving the old adage that bigger is not always better ), I questioned whether driving was ever going to be for me at all. So what a godsend to me Paul was as I made a last ditch attempt at becoming a driver. Professional, punctual and so patient he should be sainted, Paul stubbornly set about rebuilding my shattered confidence. Not for a single second did he lose faith in my ability to make a driver during the many times I used to lose faith in myself. The proof? 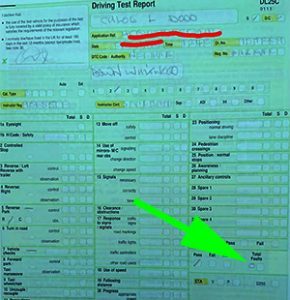 He took this challenging pupil and former hopeless case to a first time driving test pass with 2 minors. An absolutely superb instructor as well as a true gentleman. Very highly recommended. A first-time pass with mini me @ Paul, thank you ever so much, really enjoyed the experience. I couldn’t have asked for a better instructor than Paul! My lessons were very relaxed and I felt very comfortable throughout my learning experience. Paul is very flexible and patient and goes the extra mile to make you the most confident driver possible. I passed my test with one minor and would thoroughly recommend! Would 100% recommend Paul to anyone I know that’s looking to learn to drive, brilliant instructor and very patient with you, thanks for getting me passed Paul. Thanks to Paul I passed first time. He is a great driving instructor who is straightforward when it comes to what you need to do and is also very friendly and patient. I would highly recommend him to anyone wanting to learn to drive. I passed with ease and confidence due to Paul and his patience and teaching skills! I’m never off the road and I absolutely love driving all thanks to Paul! Would highly recommend to anyone, thanks again Paul. Absolutely first class driving instructor, he made me feel at ease in the car! Challenged me where I needed the extra confidence, very patient and easy to get along with! Very reasonably priced! Goes above and beyond to make sure you are test ready! He makes me miss driving lessons. It has been a pleasure to learn to drive with you Paul, you made driving feel easy and made me feel relaxed while giving me updates on Gateshead FC!!! All the best for the future and thanks again….. Michael. Thank you so much to Paul! I’ve passed first time with ‘mini me’ and he is very patient and used different techniques to help me understand, would definitely recommend Paul. Thanks again. Passed first time with Paul what a great guy makes you feel really relaxed and have already recommended mini me to my friends and family what brilliant instructor he is thanks for everything Paul mate. Passed first time with Paul at Mini Me, absolutely loved learning with Paul he gave me so many useful tips and tricks I use driving today. I would completely recommend Mini Me to anyone who wants fo learn. Thank you for everything, Paul. Proud to say I’m now the owner of a full licence and can legally drive woohoo! Would definitely recommend Paul to anyone wanting to learn to drive, very patient and understanding! Thanks again for all your help. Passed my driving test and theory test first time with all the help from Mini Me it was great learning with Paul. 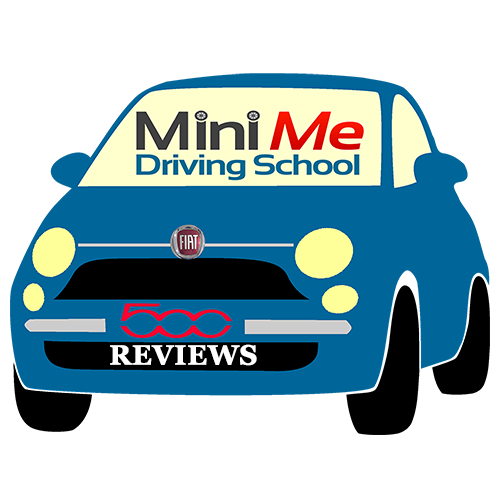 I would definitely recommend Mini Me to friends and family because Paul is a brilliant instructor. Thanks again Paul. Passed first time with Mini Me, would recommend to new learners, brilliant instructor. Passed on my first time through Mini Me, a Great instructor with a lot of patience, always on time and understanding with personal issues. Thanks again Paul, hopefully, I’ll be getting my SmartCar soon! Haha.